What is it Calling Discernment The Process Seminary Life Is this for you? If you are a faithful disciple of the Lord, God may be calling you for a very special mission - to become a Diocesan Priest. Priests have a crucial mission: To bring people to Jesus, and Jesus to people. For all Catholics, the priest is a spiritual father. He preaches the Gospel and celebrates the Eucharist with his people. Priests are living witnesses of Christ in this world – men of strong character and virtue. The diocesan priesthood is an incredibly rewarding vocation. God calls men from different backgrounds, with different abilities, and from various cultures to the vocation of priesthood. • You deeply love Jesus and His Church. • Other people have suggested that you would be a good priest. • You sometimes imagine yourself as a priest. • You desire to live a life of goodness, integrity and prayer. • You want to grow in holiness through your service to others. There are around 400,000 celibate priests in the world. All of these men feel the natural desire for marriage and family, but the willingness to channel this desire for the service of people and the mission of the Church is even greater. No one is worthy of the gift of priesthood except Jesus the High Priest. But for more than 2,000 years Jesus has called ordinary men to be his disciples, equipping them with the grace they need to continue the mission he has started. Men who are accepted into the seminary will enter into the process known as ‘priestly formation’. 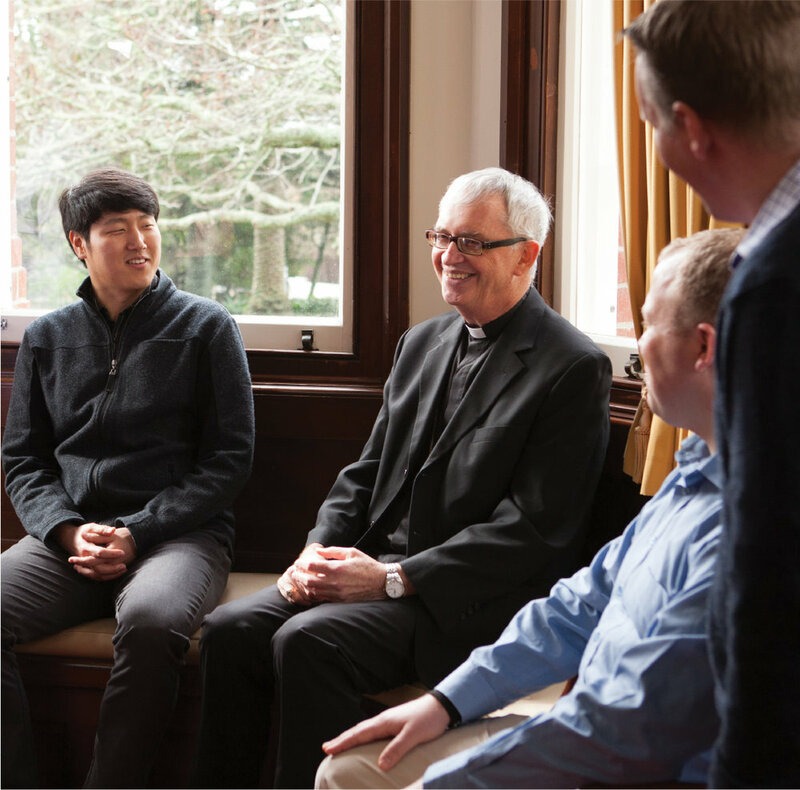 The purpose of the seminary is to form seminarians to the diocesan priesthood. The seminary will encourage and guide them to grow in human, intellectual, spiritual and apostolic maturity. The formation will also help each person to develop and enhance their gifts and talents that can be vital in their future ministries. When a man reaches a certain point in his process of discernment, he needs to go to the seminary to explore more deeply whether the priesthood is his calling. The seminary is a ‘school and stage of discernment’, not a final decision to become a priest. When you are ready to have this conversation, contact the Office of Vocations. Discernment always happens with the help of the Church. Copyright 2018 Auckland Priests. All rights reserved.